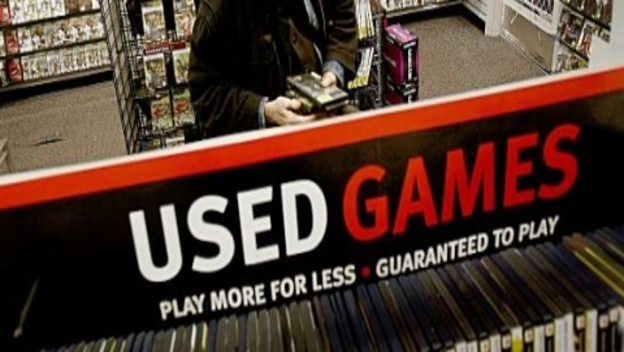 Gamestop is thinking about about selling “used DLC” in the future. Granted, things aren’t set up to do so now, most consoles don’t even allow DLC transfers from one player to another. However, they are looking to the future, thinking about how used DLC sales can be implemented. There are two ways to look at this, and it differs depending on whether or not they are talking about item DLC or content DLC. Item DLC, like pre-order exclusive bonuses, might be OK as a business venture, but only if you can’t receive it through any other means. If you get a special pet for pre-ordering something or a download code for an epic mount for participating in a promotion, selling and re-selling that DLC wouldn’t be such a bad idea. It gives some value to people who don’t want it, and gives people who couldn’t get it an opportunity to obtain it. But what about DLC that you CAN still obtain? Let’s say that pre-orders get a special hat in your shooter of choice. The developer may decide later to sell that hat for a small fee. If Gamestop decides to sell that hat at a later date, then we run into a couple issues, and it just so happens that these issues are exactly the same issues that you would run into if you tried to sell a piece of content DLC, such as a map pack or an extra game chapter. 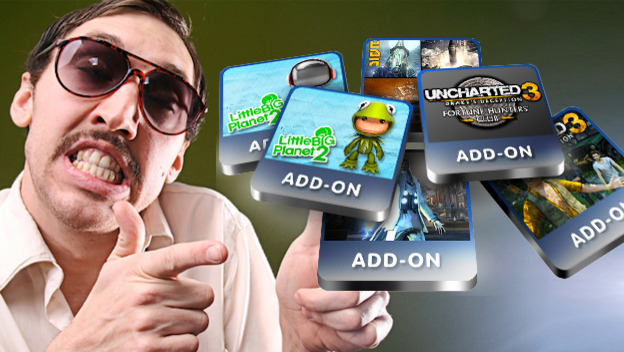 The idea behind used game sales is that using games degrades their value in some way, and usually that’s the case. When you purchase a used game you usually won’t receive the full case or manual, and many times the game is scratched or worn (yet still playable). So Gamestop sells a product that has less quality than a new product at a reduced price to make up for the drop in quality. There are some problems in that the original creator gets no money back for this sale, but this is the same idea that has made every used market run, from used furniture to used cars. The problem with used DLC, however, is that using DLC doesn’t actually degrade the DLC in any way. The DLC is just data, bits and bytes that you download to your console. Those bits aren’t any newer than the harddrive you put them on. If you bought a “used” piece of DLC by, say, getting someone else’s DLC code, you aren’t even actually getting their bits. You are getting your own, freshly copied set of bits as soon as you install it. In effect, a “used” piece of DLC is no different from a “new” piece of DLC. So content DLC and some item DLC is not any rarer when used, and incurs no loss of quality. It’s essentially the same as new DLC. But that causes a bit of a problem. What do you charge for an item that is identical to the item sold on the PSN or Xbox Marketplace? Common sense would say “the same amount” right? Except, if that’s the case no one would ever go through the extra effort to purchase used DLC, because they can get the exact same thing any time they want, at home with no hassle. So the only way that Gamestop can make this profitable is by selling it at a lower price than it is offered new. But remember, there is no decrease in quality here! All Gamestop would be doing is offering the same product, which was actually MADE BY THE DEVELOPERS, at a lower price rate than the developers/publishers set it at! At that point, there is no reason to purchase a NEW piece of DLC, and there is no in-between! The fact that the developers and publishers see no money on this discounted sale makes for some pretty shady moral and ethical ground as well. The only way that this “used DLC” market could be a useful thing, is if it offers DLC you can’t get anymore, once again as a factor of rarity. For example, when fighting game developers drop online support, DLC support is dropped as well. A “used DLC” market would allow people to get copies of, say, the Jill and Shuma DLC for Marvel vs Capcom 3, even long after they were taken off online markets. What do you think? Is the selling of used DLC a good thing? Would you buy used DLC? Let us know in the comments.